The State Senate and Assembly have passed on party lines legislation (SB 886/ AB 1072) that will create significant bureaucratic layers and barriers to make improvements and changes to all of Wisconsin’s Medicaid waiver programs like Family Care, IRIS, Children’s Long-Term Supports, autism services, mental health services such as CCS, and more. The bill awaits signature into law by the Governor. The legislature already has broad ability to direct the actions of the Department of Health Services. 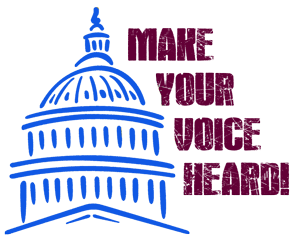 ACT NOW: Call Governor Walker’s office and say you want funding and staff time at the Department of Health Services to go toward improving services for people with mental health needs and other disabilities- not unnecessary bureaucratic paperwork. Ask the Governor to Veto this bill. Here is recent coverage regarding this bill.